That makes sense, a Zionist is pointing the finger away from Zionist Israel. By the way, did Saudi Arabia attack the USS Liberty? As far as 9/11 is concerned, Israel and Mossad have always been linked to the crime. 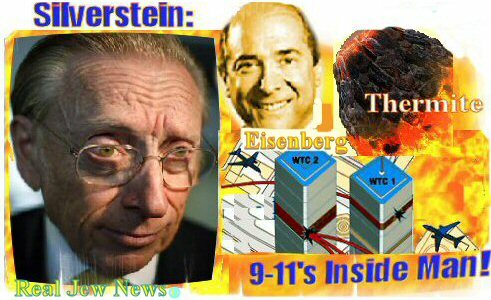 I am not sure what the confusion is but Zionists have to be apart of the crime and cover-up of 9/11, they are connected to all aspects of it.. The history of false flag attacks that Israel has done to the United States is well documented. 9/11 WAS AN INSIDE JOBSCIENTISTS, ARCHITECTS, & ENGINEERS now affirm that the 9/11 destruction of the World Trade Center buildings was an inside job. The leading scientist of Scholars For 9/11 Truth, Dr Steven Jones, has proven that controlled demolition devices were placed within the WTC Twin Towers – and this is what brought the buildings down not the airplanes. Jones says that molten metal was found in the sub-basements of the buildings. The molten metal, Jones argues, was caused by a high-temperature Thermite reaction, used to demolish steel. Thermal hot spots throughout the sub basement levels were detected by satellite – confirming Jones’ findings. Jones also says that heated dust with particles of Thermite was discovered in the WTC area. 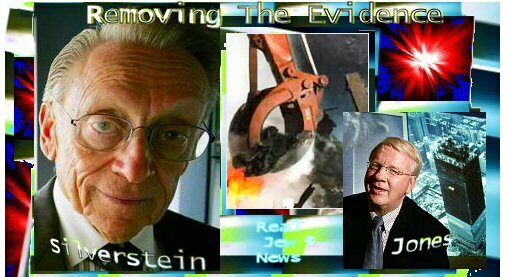 But Silverstein arranged that three NY Jewish steel and scrap companies ship the metalwhich could have been used as evidence to China & India. Paul W. Mason, structural engineer of Melbourne Australia, affirms Dr Jones’ findings: — “The chances of the buildings collapsing symmetrically into their own footprint at freefall speed by any other means than by controlled demolition are so remote that there is no other plausible explanation” — Here. The Samson Option: The Biggest Mass Murderers In History Have A Huge Nuclear Arsenal, Just How Dangerous Is Israel? Israel admits that in 1954, an Israeli terrorist cell operating in Egypt planted bombs in several buildings, including U.S. diplomatic facilities, then left behind “evidence” implicating the Arabs as the culprits (one of the bombs detonated prematurely, allowing the Egyptians to identify the bombers, and several of the Israelis later confessed) (and see this and this). Undercover Israeli soldiers admitted in 2005 to throwing stones at other Israeli soldiers so they could blame it on Palestinians, as an excuse to crack down on peaceful protests by the Palestinians.